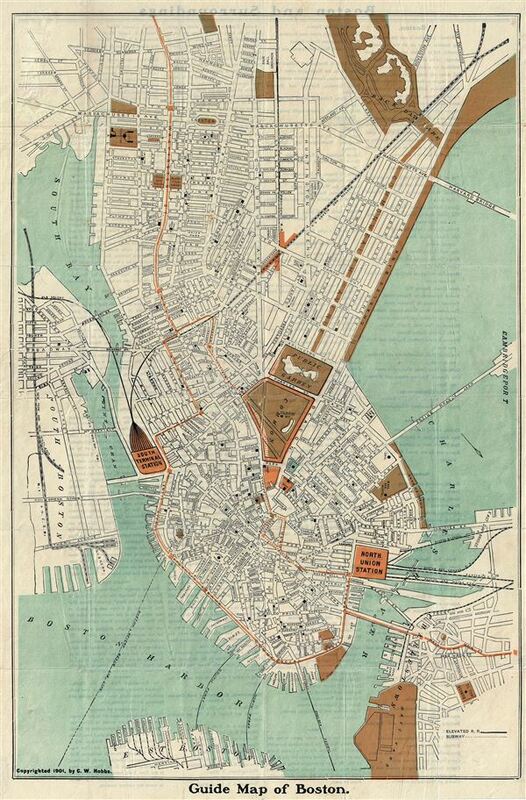 This is an attractive 1901 tourist map or plan of the city of Boston, Massachusetts by C. W. Hobbs. Oriented to the southeast, it covers the city from Boston Harbor to Back Bay Park and includes parts of South Boston, East Boston and Charlestown. The map notes city streets, parks, squares, individual buildings, railway lines and stations. Other topographical features are also noted. This map was issued as a Vest Pocket Guide and Map of Boston by C.W. Hobbs in 1901.